As seen in the New York Times! 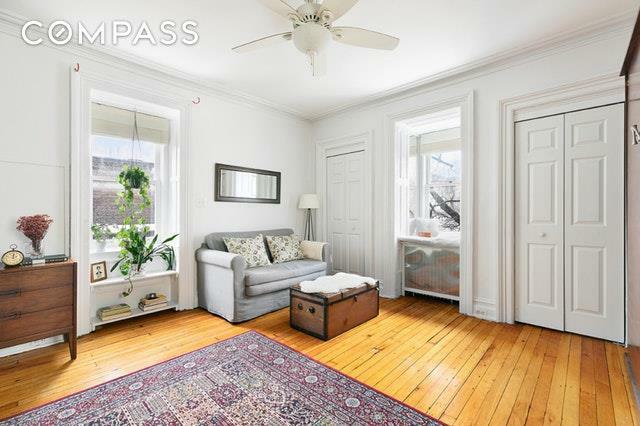 This serene, bright studio sits on the top floor of a perfectly preserved 1870s limestone mansion. Located on historic Clinton Ave between Dekalb and Willoughby, it is convenient to shops and restaurants on Myrtle Ave. Thoughtful touches like a reading nook, kitchen island with built-in storage, and custom-made murphy bed maximize the functionality of the cozy space, which features hardwood floors and crown moldings. 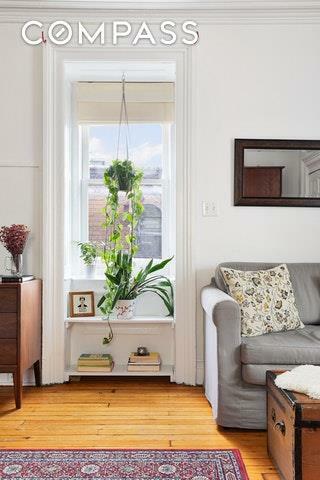 With two apartments per floor and no shared walls, the self-managed co-op feels instantly like a home and community. Windows face North, South, and East, and overlook the large shared backyard. 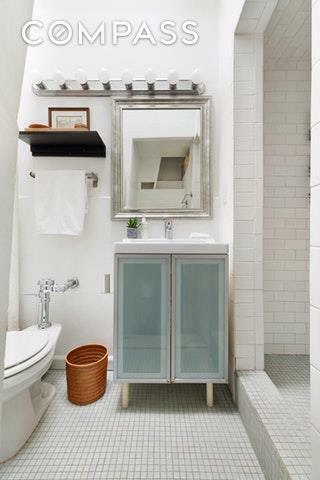 The subway tiled bathroom boasts high, vaulted ceilings and an antique skylight. Despite the low monthlies, there is designated, secure storage space for the unit as well as laundry facilities. 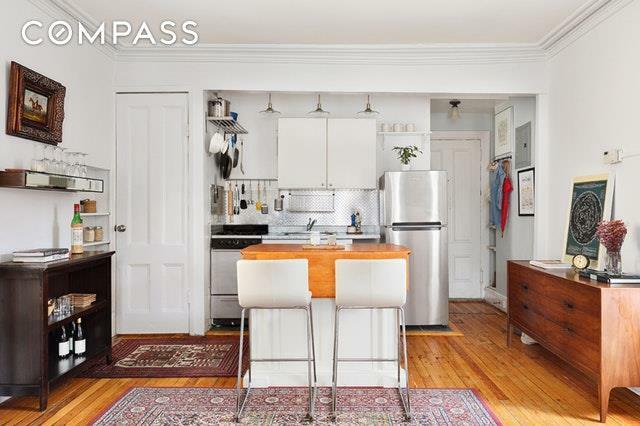 Proximity to the C and G trains make this an ideal home whether you commute to Manhattan or stay in Brooklyn. Listing courtesy of Anna Klenkar of Compass.